The Iranian resistance this week called on the United Nations High Commissioner for Human Rights and all human rights defenders to take urgent action to save the life of Ali Moezzi, a political prisoner in Iran. Mr. Moezzi was transferred on Saturday January 3rd by henchmen of Iran’s clerical regime, out of Ghezel Hessar Prison where he was being held, to an unknown location. On October 12, 2014, while he was extremely sick, rather than being taken to hospital, Mr. Moezzi was transferred to solitary confinement in ward 209 of Evin Prison and was subjected to pressure for two months. A few weeks ago, he was returned to the prison general ward. In November, two months ago, Mr. Moezzi’s family, worried about his life said they received no response from anyone in the Iranian intelligence service. 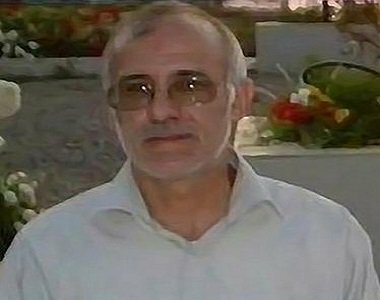 His family is worried because Mr. Moezzi had a brother, Mohammad Moezzi, who was executed in 1981 because of his support for the PMOI. A week after being hospitalized, before his treatment was complete, he was returned to prison where he was deprived of any medical care. On October 12, rather than transferring him to the hospital for treatment, he was taken to Evin Prison in Tehran. Ali Moezzi, a political prisoner of the 80’s, suffers from various medical conditions, including acute kidney disease and intestinal obstruction due to years of imprisonment and torture. In 2009, he was arrested for visiting his two children in Camp Ashraf, and was sentenced to two years of imprisonment and to three years suspended sentence. In June 2011, he was arrested for the third time for participating in the commemoration of PMOI member Ali Saremi, who was executed by the clerical regime. Mr. Moezzi has always been under intense pressure and physical and psychological torture for supporting the PMOI.